San Francisco State University’s Estuary and Ocean Science (EOS) Center is now a partner organization with the Oiled Wildlife Care Network (OWCN), making the center a triage site for volunteers to care for wildlife affected by oil spills in San Francisco Bay. “Now we’ll have a place to take the animals that’s right here in the Bay — because the EOS Center is the only place on the Bay that has that kind of space and capacity,” said San Francisco State Professor of Geography & Environment Ellen Hines, the Center’s associate director. The OWCN has existed since 1994, created in part as a response to the Exxon Valdez spill in Alaska. Established by the California Department of Fish and Wildlife Office of Spill Prevention and Response and administered by the University of California, Davis Karen C. Drayer Wildlife Health Center, the OWCN organizes wildlife rescue and rehabilitation during California spills and provides funding for research and training for wildlife care volunteers. The network includes more than 40 member organizations throughout the state of California. In the past, the organization was limited by a lack of space to organize volunteer efforts on the San Francisco Bay, which is vulnerable to oil spills due to heavy shipping traffic and the presence of several nearby refineries. For instance, after the Cosco Busan struck the Bay Bridge in 2007 and spilled more than 50,000 gallons of fuel, oil-covered animals had to be transported dozens of miles away to Cordelia to be cleaned. 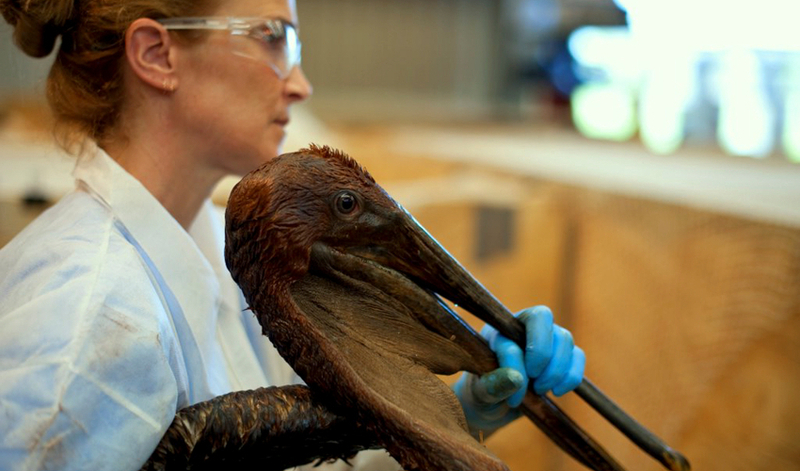 Experts estimate that more than 6,800 seabirds were killed by the spill. The 53-acre EOS Center campus and unique waterfront location will make it an ideal triage center for OWCN during any such accidents in the future. “Having the resources of the EOS Center available in the event of a major spill will provide an amazing benefit to responders,” said Marin County Sheriff’s Office Emergency Services Coordinator Tom Jordan. Twenty students, faculty and staff at the EOS Center have already registered — and if a spill happens in the Bay, they and any new volunteers will be called up to the EOS Center to assist with the response effort. In the future, the group hopes to open volunteer registration to members of the surrounding community not affiliated with SF State.